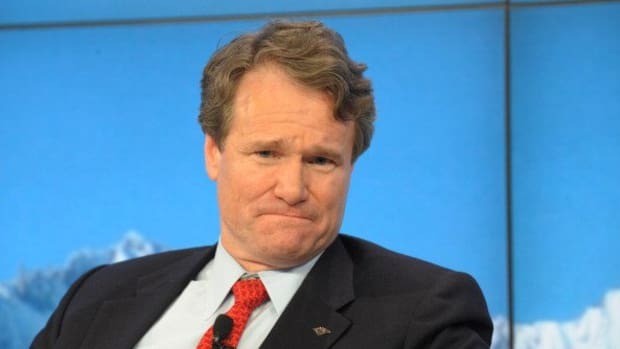 Senior Female Banker Accuses BofA Of Pay Discrimination, Front-Running, Assembling "Bro's Club Of All-Male Sycophants"
Oh, and whistleblower retaliation too. Earlier today, the Wall Street Journal reported that "Women in Elite Jobs Face Stubborn Pay Gap." Megan Messina apparently knows a little something about that, in addition to knowing what it&apos;s like to work for a guy who (allegedly!) worked cheesy pick-up lines into the course of the workday and favored his bro employees, some of whom liked to engage in some light securities fraud from time to time. In a complaint filed on Monday night, managing director Megan Messina said she is a victim of "egregious pay disparity" relative to male peers, and has been paid less than half the man who shares her title as co-head of global structured credit products. She also accused the bank of condoning bias by her boss that made her feel unwelcome in his "subordinate &apos;bro&apos;s club&apos; of all-male sycophants," and violating federal Dodd-Frank whistleblower protections by suspending her last month for complaints about alleged illegal activity that harmed clients...Messina complained that her boss has treated her "like a summer intern," spent much more time with the other structured products chief, banned her from client events, and subjected her to questions such as "Have your eyes always been that blue?" She accused the other structured products chief of "front running" by purchasing bonds for Bank of America despite knowing that Citibank NA wanted them, and angering Blackstone Group LP by rigging a debt auction to benefit a favored hedge fund in which the private equity firm also participated. Messina also said Bank of America refused to tell regulators how another colleague "doctored" trading records to conceal lies he told Allianz SE&apos;s Pacific Investment Management Co, another major client, about prices. Did they even have official swag? A website? An LLC? Mark Walters maybe took things too far.